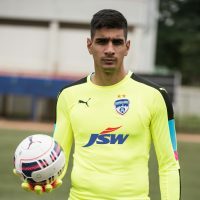 Bengaluru FC have completed a major signing for the 2017-18 campaign, roping in Indian National team goalkeeper Gurpreet Singh Sandhu from Norwegian side Stabaek FC for an undisclosed transfer amount, the club announced on Thursday. While securing the services of India’s No.1 goalkeeper, the Blues have also completed the official paperwork in time for him to be part of the 2017 AFC Cup campaign. 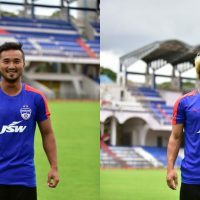 The lad from Chandigarh will be available for selection for the home leg of the crucial Inter-Zonal semifinal against North Korean side April 25 SC on August 23. 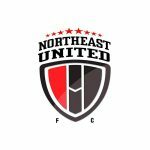 “The fact that Bengaluru FC was interested in me was encouraging considering what they have achieved over the last few years. With BFC playing on the continental level this season as well as the next one will provide the perfect platform for me,” he added. Standing tall at 6’ 4”, Gurpreet moved to Europe as a 22-year-old, signing for Norwegian club Stabaek in August 2014 where he featured in a number of cup games, including the entire 2016 Cup run. 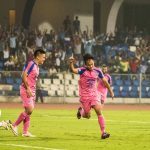 He eventually made his League debut in May 2016 in an away match against IK Start, and in the process, became the first Indian footballer to play in a European top division league. In June 2016, the Punjabi lad put another feather in his cap, becoming the first Indian footballer to feature in a UEFA Europa League match by playing against Welsh side Connah’s Quay Nomads FC in the competition’s qualifiers. Having represented India (U19 & U22) numerous times at the youth level, Gurpreet was called up to the senior national team for the 2011 AFC Asian Cup, and made his debut couple months later in the AFC Challenge Cup. After playing second fiddle to Subrata Paul, Gurpreet finally cemented his position as India’s number one during the 2018 FIFA World Cup and 2019 AFC Asian Cup Qualifiers while even skippering the side on a few occasionn. As per reports in Norwegian website www.budstikka.no, Indian star Goalkeeper has left Stabæk. 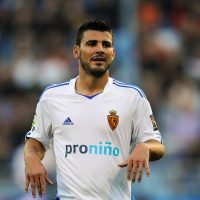 It also added that he is leaving the club as he is not getting proper playing time with the club. 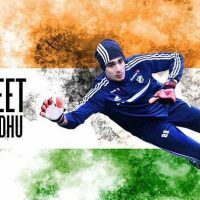 At the same time it is clear that Indian goalkeeper Gurpreet Singh Sandhu leaves Stabæk. The Indian has struggled with playing time since joining Stabæk in 2014, leaving the club for the benefit of Indian football. Singh has been a good person to have in the club, and has developed a lot in time in Stabæk. Now he has made a club change which I think will be good for him, “said Ordinas, the goalkeeper who had a contract with Stabæk in the season. In one tweet Sports journalist Jonas Giæver from Oslo, Norway claims that Gurpreet Singh Sandhu will return to India. 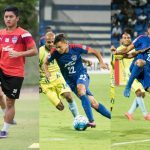 Bengaluru: A new-look Bengaluru FC side will kick off their pre-season training this week in the city before heading to Spain early next month for a 10-day training camp. The Blues will train at the state-of-the-art facilities at Pinatar Arena in Murcia during their stay in the Mediterranean region. 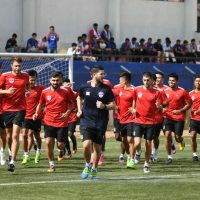 Having finalized their squad on Sunday at the ISL Draft, Bengaluru FC Head Coach Albert Roca will now have an eye on the crucial AFC Cup Inter-Zonal semifinal against North Korean side April 25 SC as he prepares his squad for the first leg at home onAugust 23. “The facilities at Pinatar Arena are top-class and I thank the management for providing us with this opportunity. The arena will provide us with everything we need to get up and running as fast as possible. Among all the other ISL teams, we’ll be in action first in the AFC Cup and it’s important that we utilize this time well so that our team settles in quickly. While we have managed to retain the core of our team, there are a lot of new signings which means that we need to put in that extra effort in pre-season to gel as a unit,” explained Roca. The Blues base – the Pinatar Arena – boasts of six natural grass (Bermuda and ray grass) floodlit football pitches at FIFA standards with special areas designated for goalkeepers and a stadium with a capacity of 3,500 spectators that hosts friendlies and tournaments. The Arena also has top-class fitness centers with all the latest equipment from health and fitness innovators. While the facility recently hosted an U21 tournament between national teams of Australia, Austria, Finland and Netherlands, they have regularly hosted training camps of top-flight clubs from all over Europe. A few of them include, German heavyweights Borussia Dortmund and FC Kaiserslautern, Spanish sides Levante UD and UD Almeria, Russian powerhouses CSKA Moscow and FC Zenit apart from Ulsan Hyundai (South Korea), FC Twente (Netherlands), Dinamo Zagreb (Croatia) and Shakhtar Donetsk (Ukraine).